In Ancient Rome, members of the Praetorian Guard were often immediately recognizable. 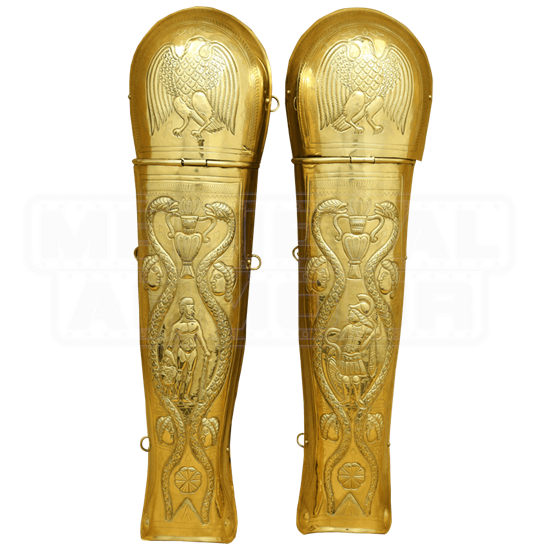 Not only was their position one of power, but they were a noble corps, often wearing the finest armor, including pieces like these Brass Praetorian Greaves. These warriors, originally some of the most elite of Romes fighting men, were the personal fighting force of the Roman Emperor, and as such, had all the look of a small army that served the wealthiest and most powerful man in Rome. These greaves echo such a design, being made entirely from polished brass metal, which offers a stunning gleam that is sure to catch the eye. The brass metal is also heavily embossed, featuring depictions of serpents and men and warriors, while also featuring great eagles on the knee caps. The greaves are also hinged at the knee, to allow the warrior who wears them a bit of easier movement. 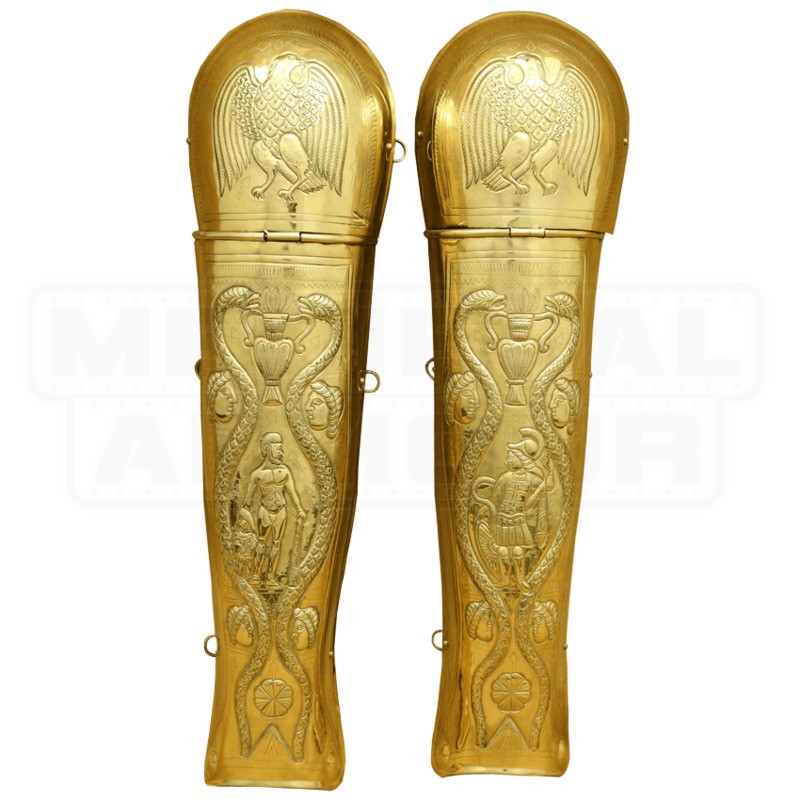 Ornate and impressive, these Brass Praetorian Greaves are a great accent to wear when you really want to stand out in your Roman gear, as well as a perfect historic collectible to have in your collection, too.